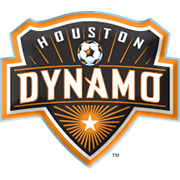 Houston Dynamo play host to Minnesota United at their BBVA Compass Stadium on Sunday. Houston are tough to beat at home and you should bear in mind that they are eyeing their tenth home win of the season. Wilmer Cabrera’s men are determined to make it to the MLS Cup play-offs and, no doubt, the hosts will leave their hearts on the field in Sunday’s football match against Minnesota United. 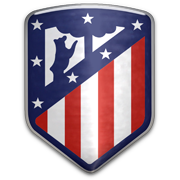 A man to watch in the home team will be Mexican attacker Erick Torres, who has been impressive in front of goal this season. 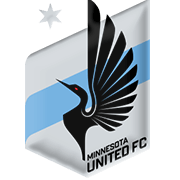 Minnesota United, on the other hand, aim to build on back-to-back wins over the likes of Montreal Impact and Dallas and Christian Ramirez, who scored his 13th goal of the season at the weekend, is likely to prove a handful for the opposition defenders. The Loons have been in a much better form that the Dynamo of late and we are tempted to put our money on the visitors this time out. Tyler Deric is a product of Houston Dynamo football academy. On February 27, 2009 the USA goalkeeper signed a professional development deal with the Dynamo and he made his senior debut for the club on October 16, 2010. The shoot-stopper, who was born on August 30, 1988 played for the likes of Austin Aztex, San Antonio Scorpions and Rio Grande Valley FC Toros in the past as well, but he has yet to earn his first call-up for USA national soccer team. Speaking of his personal life, it has to be noted that Tyler Deric and his teammate Warren Creavelle were arrested in 2012 following a row with a police officer. The 191-cm-tall goalkeeper conceded six goals in 10 appearances for Houston Dynamo in the 2016 MLS campaign and he did well to keep six clean sheets. During his youth career Tyler played for North Carolina Tar Heels, but, as previously mentioned, Houston Dynamo coaches helped him improve his goalkeeping skills.